By age 60, more than half of adults have concerns about their memory. However, minor memory lapses that occur with age are not usually signs of a serious problem, such as Alzheimer’s disease, but rather the result of normal changes in the structure and function of the brain. 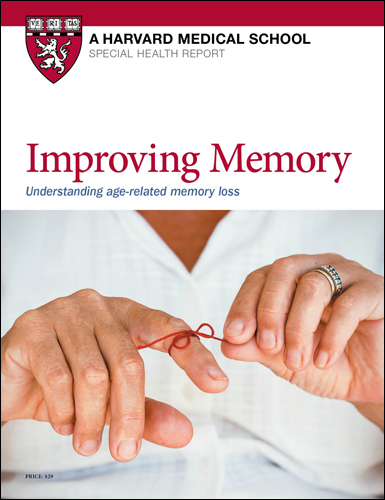 This report, Improving Memory: Understanding age-related memory loss, describes these normal age-related changes and other more serious causes of memory loss — and how to distinguish between them. Age-related memory loss, then, can represent a loss of self. It also affects the practical side of life. Forgetting how to get from your house to the grocery store, how to do everyday tasks, or how you are connected to family members, friends, and other people can mean losing your ability to live independently. It's not surprising, then, that concerns about declining thinking and memory skills rank among the top fears people have as they age. There's no getting around the fact that the ability to remember can slip with age. Many of these changes are normal, and not a sign of dementia. Improving Memory: Understanding age-related memory loss helps you understand the difference between normal, age-related changes in memory and changes caused by dementia. The report also offers tips on how to keep your brain healthy, and how to help improve your memory if you're living with age-related memory loss. One of the key components of this memory-saving program is to keep the rest of your body healthy. 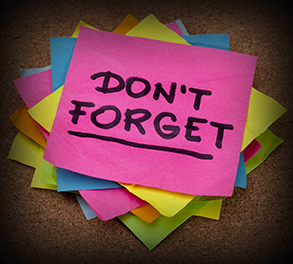 Many medical conditions—from heart disease to depression—can affect your memory. Staying physically and mentally active turns out to be among the best prescriptions for maintaining a healthy brain and a resilient memory. Improving Memory: Understanding age-related memory loss also discusses the different types of dementia and the treatments available for them. Memory impairment: Normal aging or brain disease? Age can dull the ability to remember things. This is often the result of normal changes in the structure and function of the brain, and isn't dementia, Alzheimer's disease, or other brain problem. If you have normal age-related memory loss, several techniques can help you improve your ability to retain new information and skills. You've probably heard stories about people with extraordinary memories and wondered how they do it. Many rely on mnemonic devices (nuh-MON-iks), which are basically learning techniques that aid memory. (The term comes from Mnemosyne, the Greek goddess of memory.) One mnemonic device is to think of a word that rhymes with a person's name so that you don't forget the name. Another is to come up with a sentence or phrase to help you remember something, such as "Every Good Boy Does Fine" for recalling E, G, B, D, and F, the notes that fall on the lines of the treble-clef musical staff. When you learn something new, immediately relate it to something you already know. Making connections is essential for building long-term memories. What you're really doing is making the information meaningful, which helps the brain structure known as the hippocampus consolidate it. Making connections between new and old information also takes advantage of the older pattern of synaptic activation, piggybacking the new material onto a prefabricated network. One way to help remember names is by making an association with the first letters. It's fairly easy to remember the National Aeronautics and Space Administration because of its familiar acronym — NASA. You might try this technique with people's names, too. Say you meet someone named Louise Anderson. Her initials are L.A., which immediately brings to mind Los Angeles. If you can somehow connect Louise to Los Angeles, you'll have an easier time remembering her name. You can also make associations to remember numbers such as access codes or passwords that you need to use regularly but don't want to write down. Say you need to remember the number 221035 to get your voice mail: 22 could remind you of "Catch 22," 10 might be the number of cousins you have, and 35 was your age when your oldest child was born. Another technique for remembering a long series of items is to regroup them. This is sometimes called chunking. You "chunk" when you turn a list of 15 things into three groups of five. You might do this when you go grocery shopping: think of the items you need by categories, such as dairy, produce, desserts, frozen foods, and so on. Chunking is also useful for remembering telephone numbers — which are naturally chunked into the area code, local exchange, and remaining four digits — and other numbers. Say your checking account number is 379852654. Instead of memorizing it as a string of nine single digits, try grouping the digits into three triple-digit numbers: 379, 852, and 654. That way, you'll reduce the number of chunks of information you need to remember from nine to three. SQ3R stands for Survey, Question, Read, Recite, and Review. This five-step method is particularly effective for mastering a large volume of technical information from a textbook or professional document. Survey the material by reading through it quickly. Concentrate most on the chapter headings and subheadings, as well as the first sentence of each paragraph, to get an overview. Question yourself about the main points of the text. The more provocative and interesting your questions, the better able you will be to mentally organize the material when you re-read it. Read the text carefully for comprehension, keeping in mind your questions from the second step. Don't take notes or underline yet—doing so at this stage can actually interfere with your comprehension by interrupting the flow of information. Recite what you have just read, either to yourself or to someone else. Speaking out loud helps deepen your understanding of the material. Now is also the time to take notes. Review the text, as well as your notes, a day or two later. Now, think critically about the information: does it support or contradict other information you know about the subject? Go back to your questions from step two. Can you answer them? Do any questions remain? Review the text quickly several more times over the next several days or weeks to help your brain consolidate and store it.